They say that all work and no play makes Jack a dull boy, so why do you want to take the risk and have Jack carry all that head knowledge, but never really lived? There is nothing quite like a ball to get the imagination crackin’, and with the $39.99 32” Y’all Ball, you know that your kid will fall in love with it. Heck, you might even want a piece of the action, and feel as though you were a little one all over again, without a care in the world and bills to pay. 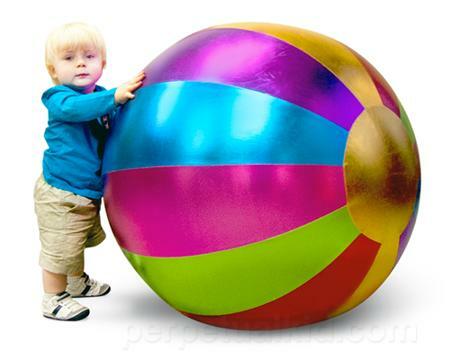 The 32” Y’all Ball happens to be extremely large, where it comes in a shiny, soft, and vibrantly colored surface, not to mention being incredibly bouncy. Of course, do keep this away from sharp objects, and do not overinflate it, otherwise it is going to burst!